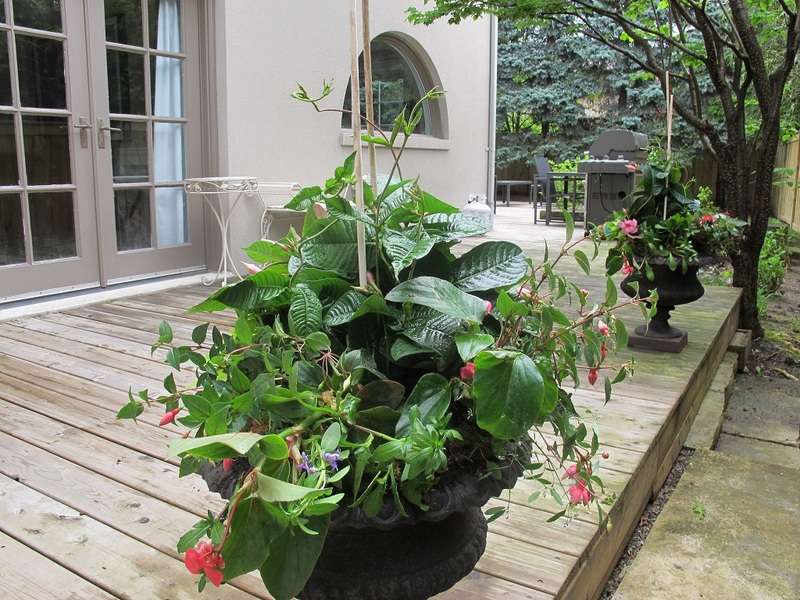 Backyard summer planters of mandevillas and annuals in classical urns. 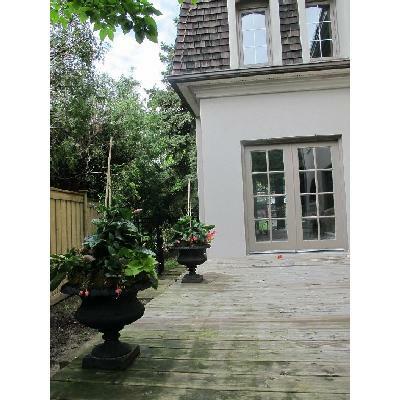 Classy summer patio decoration providing visual interest and colour throughout the growing season. 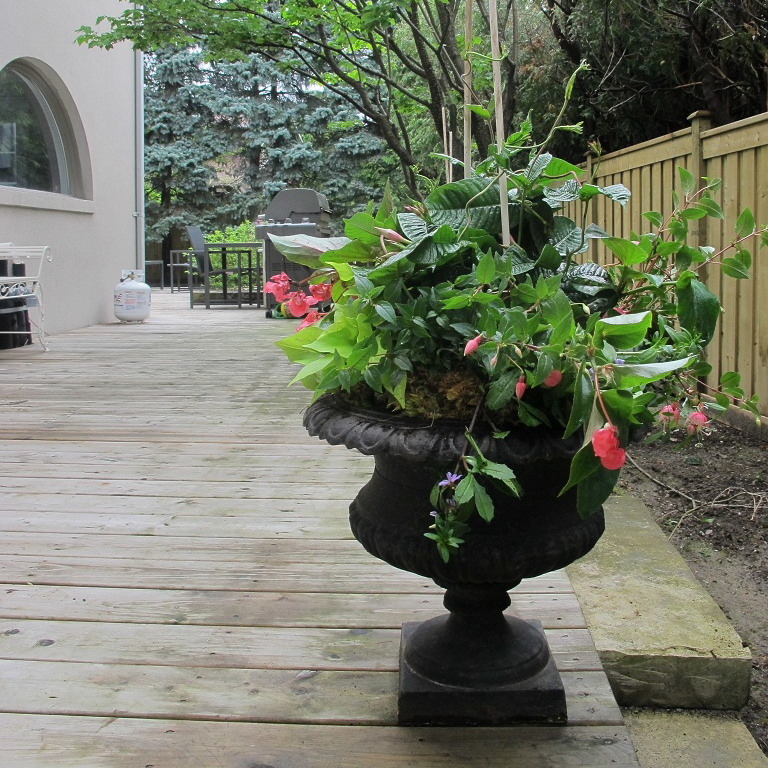 Planters’ installation and service in Toronto and GTA. 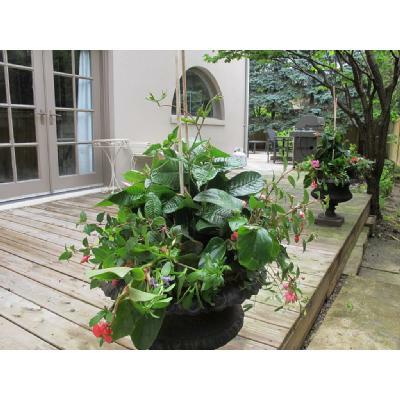 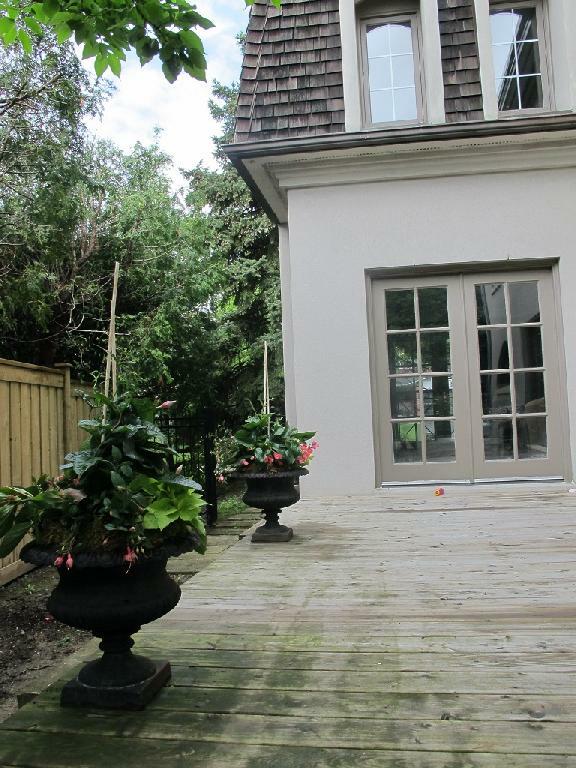 Enjoy online catalog of elegant Toronto containers and garden planters from city hip floral and horticultural boutique. If you need any assistance please call our Toronto flower studio.